Get rad zines delivered every month. What if every month you opened your mailbox and there were zines in there instead of bank statements and pizza coupons? 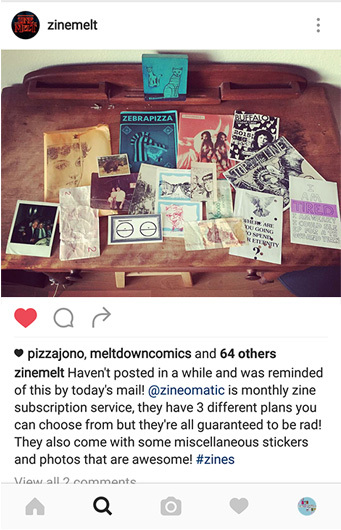 Subscribe to Zine-o-Matic to get a carefully curated shipment of zines delivered to your door every month. 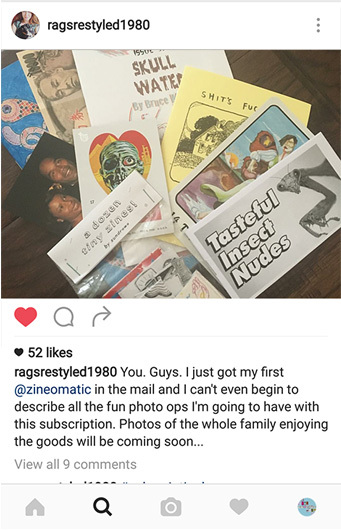 Zine-o-Matic is a monthly zine subscription service. 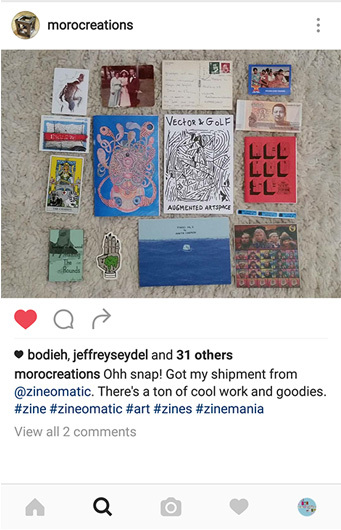 Sign up and every month you'll recieve a package full of zines, stickers, and indie art. 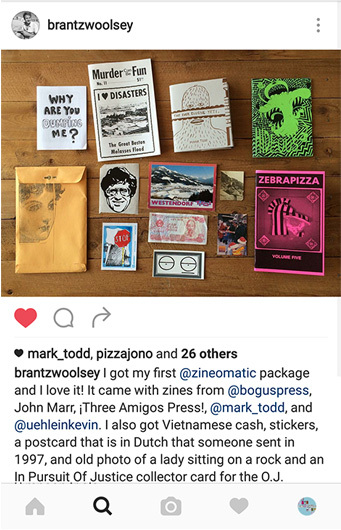 Zine-o-Matic makes finding great zines easy. It can be rough finding new zines, especially since many zines are only distributed in the city in which they were created. Zine-o-Matic draws from worldwide network of super cool artists to bring you the best that the zine community has to offer.